Our house practiced mechanical engineering since more than 5 decades. Our company, with a rich tradition, has focused on mechanical engineering for more than 5 decades. In the first two decades, we concentrated primarily on machines and plant for the copper ore extraction in the Sangerhäuser district, coal mining in Saxony that existed at the time also the tin ore mining industry. In the second half of the 60’s, we primarily were involved in the development and manufacture of mobile mining technology for the extraction and conveying of crude potassium salts underground. After the German reunification, we established and continuously further developed another product range for the processing segment. This primarily included machines for the extraction and recycling industries, in particular, crusher and screening systems, but also complete processing and sorting installations. 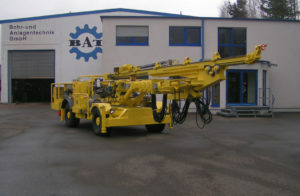 On the 1st of June, 2003, Bohr-, and Anlagentechnik GmbH acquired the know-how of the company Bohr-Transport- and Zerkleinerungstechnik Dietlas GmbH, and, of course, the highly qualified and experienced employees along with it. 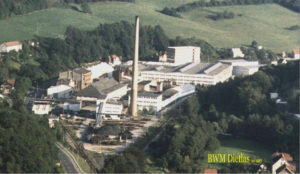 These employees now serve the German and neighbouring European market with drilling machines, transport and special equipment for the potassium mining industry as well as machines for the processing and classification of natural stone, the recycling of rubble and the recovery of materials from mixed building site waste, industrial waste and packaging remnants. One of the strengths of our medium-sized mechanical engineering company lies in our ability to incorporate the application requirements and special requests of our customers into the design of the machines and equipment. While maintaining the basic concepts of the individual machines and equipment, our designers and technologists are able to quickly and effectively meet the requirements and implement the necessary modifications. Another area of strength is our application engineering and technical support directly at the customer’s site. We keep spare and wearing parts in stock with a high level of availability. Should repairs be necessary, the service employees are with the equipment operator within a short period of time in order to minimise downtime. Cutting-edge microelectronics and hydraulics and high-performance drive technology from well-known German manufacturers make our machines and equipment very in-demand products. With the move to our new site in Merkers on October 1, 2005, the conditions for manufacturing were considerably improved. And here we are today with modern site with tailor-made manufacturing facilities.